Small black leather rucksack, backpack for women with in Goth Steampunk style. 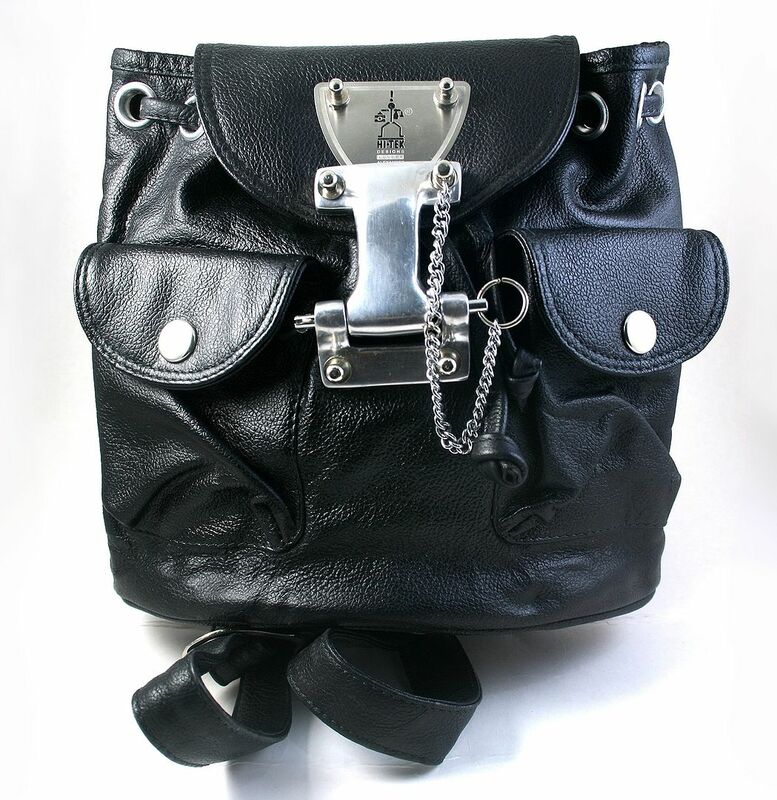 The bag has an unusual solid cast aluminum lock and chain clasp. 2 pockets at the front with snap buttons. Has a zipper pocket inside. Adjustable straps at the back can be worn as a backpack or as a shoulder bag.